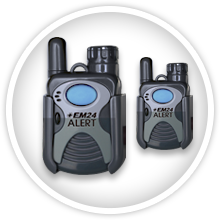 The EM24 Alert base station is programmed to connect you to our monitoring station through a standard telephone line. 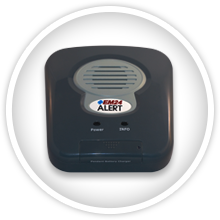 Push the alert button on the pendant that is programmed to communicate with the base station so you can call for help when needed. 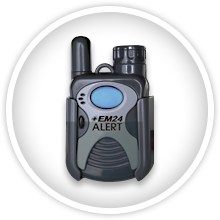 Add this water-resistant, two-way communicator that enables conversation with EM24 Alert Monitors in the shower area. 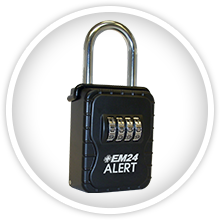 Allow emergency entry without door damage by storing a key inside this lock box that opens with a 4-digit code. Order an extra emergency push-button pendant for another person living in the same home to provide double protection for the same cost.